The rumours are true: Zoocasa, a Rogers-affiliated website that publishes listing information in partnership with Canadian realtors, has plans to become a brokerage. Though they haven’t released an official statement about the proceedings yet, Zoocasa has confirmed that the company has applied to the Real Estate Council of Ontario (RECO) for a brokerage licence. The licence is pending approval. Much like its American counterpart Zillow, Zoocasa is an online source for homebuyers looking for sales data. It allows consumers to get the gist of the market all without the help of a realtor. However, because of rules governing who has access to Multiple Listings Service (MLS) info and resale data in Canada, Zoocasa has one major difference. In the United States, all that info is public. Because only registered realtors can access the MLS data in Canada, Zoocasa has been working directly with agents to gain access to listing information, then publishing those details online. But now it appears that model is being replaced. Zoocasa has already run into info issues. In September 2011, Zoocasa was ordered to pay $32,000 in damages to two Century 21 real estate agents by the British Columbia Supreme Court because of copyright infringement. We can’t help but wonder how this will affect Zoocasa’s relationships with the clients who have helped source the listings: they’ll no longer rely on them for the data that was the backbone of their business model. Add into the mix the fact that Zoocasa is under the umbrella of the telecommunications giant Rogers. 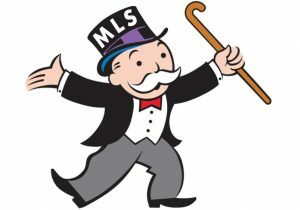 Proponents of opening up the data to consumers without a realtor acting as middleman are wondering, if even a massive corporation such as Rogers can’t take on MLS without joining the real estate industry, then who can? In other words, if you can’t lick ‘em, join ‘em. Conversely, many people within the real estate industry want to protect their turf since the telecommunications company could make the market a lot more crowded. “I believe our industry now, instead of being driven by people who care about it, it’s being driven by opportunists,” says Virginia Munden, a sales representative with Re/Max. These developments are just the latest in the info war being waged over housing data. Real estate boards don’t want to give up the goods. They argue they own the information. That’s all resulted in complaints from discount online real estate websites, investigations from the Competition Bureau and plenty of complicated legal action. Following a five-year investigation, the Toronto Real Estate Board (TREB) faced the Competition Bureau in court in September 2012. The bureau argued TREB’s exclusive control over MLS data smacks of anti-competitive behaviour. TREB made the case for restricting access to the info via password-protected sites known as Virtual Office Websites (VOWs), but Competition Commissioner Melanie Aitken argued that’s not enough as it still forces consumers to rely on realtors for that access. Brokerage and real estate search engines have come together before. TheRedPin operates a database of new condos and resale homes in the GTA, but also employs dedicated realtors. We’ll be following the story and updating it as more information becomes available.